spend to repair or replace your roof is extremely important. Based on your budget, our roofing professionals can discuss all the options that are available to you based on your particular roofing needs. How old is your roof? As with any part of your home, a roof ages and undergoes wear and tear. From strong winds or storms, to severe changes in weather throughout the year it is safe to say that your roof takes a beating. The typical lifespan of a roof in Michigan is 20 years. This can go up or down depending on how well you maintain your roof. Depending on the age of your roof, it may be in your best interest to replace your entire roof to save money from frequent repairs in the future as your roof continues to age. What is the problem with your roof? Are you noticing water bubbles in your ceiling? Is it leaking into your home? Are shingles falling off your roof? 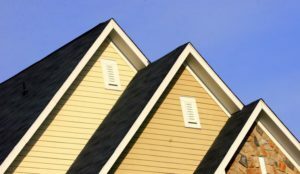 Do you notice dips or valleys when you look at your roof? There are many problems that our roofing professionals see on a daily basis. From large holes from storm damage or falling trees to water leaking into homes and everything in between. Our roofing professionals can help you to identify the source of the problem and discuss whether a simple roofing repair will suffice or if a new roof is in your best interest. For more information or to get a free quote today, contact our roofing professionals.With winter quickly approaching it is important to get your roof at its best before snow and ice start to sit. Allow our roofing professionals in Michigan to guide you through the roof repair process. Schedule your roof repair or replacement today while appointments are still available! This entry was posted in Roof repair and tagged repair, replacement, roof damage, roof leak, storm damage. Bookmark the permalink.